Lets assume you are in a development mode and you want to try out Kylo UI on SSL. You will need a self-signed certificate which is stored in a keystore. Make note of the kylo-ui.jks path, which we will refer to in the following section when updating Kylo UI properties. If you are in production, you would have your certificate issued by a trusted certificate authority. You can then import it to your keystore. Add following properties to /opt/kylo/kylo-ui/conf/application.properties. Change the port to your liking and update path to keystore ‘kylo-ui.jks’ we generated in previous section. You can now restart Kylo UI and browse to https://localhost:8444/ops-mgr/index.html. The note protocol and port number have changed from default configuration and now are HTTPS and 8444 respectively. Since we are using a self-signed certificate, expect browsers to complain about inadequate security. That is okay for development purposes. You can either import Kylo UI’s certificate ‘localhost.crt’, generated in step 1.1 Create Self-Signed Certificate in a Keystore, into a new truststore; or, if you are in a hurry, simply re-use Kylo UI’s keystore as Nifi’s truststore. 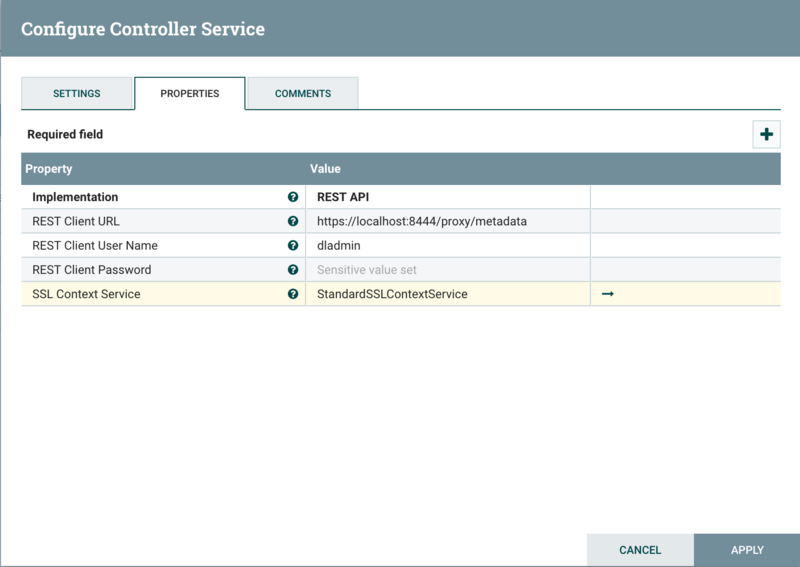 Create a new truststore and import the cert to keep things clean. Make sure ‘nifi’ user has access to this truststore, e.g. keep the truststore in /opt/nifi/data/ssl directory, which belongs to ‘nifi’ user. 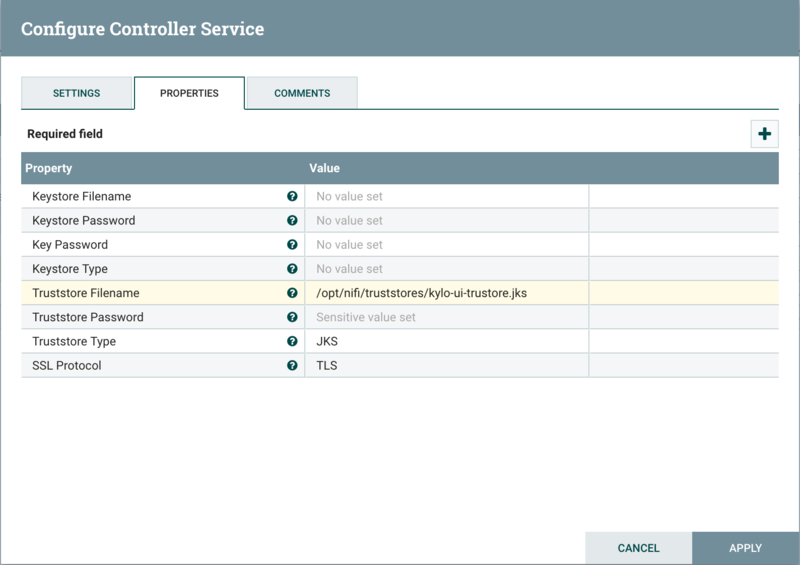 Add StandardSSLContextService in Nifi at the root level next to all other controller services.